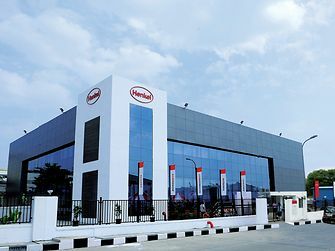 Henkel Adhesives Technologies India Private Limited, ‏(hereinafter referred to as “Henkel India”), respects the privacy of each person who visits our website. Now we would like to inform you of the type of data collected by Henkel India and how they are used. You will also learn how you can check the accuracy of this information and arrange for the deletion of these data by Henkel India. Data are collected, processed and used in conformity with the data protection regulations of the country in which the responsible data processing department is located. We take any action required to ensure compliance. This Privacy Statement does not apply to websites accessible from hyperlinks on Henkel India’s websites. Henkel India will store your data safely and, therefore, take all precautionary measures to protect your data against loss, abuse or changes. 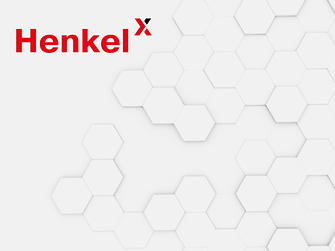 Contractual partners of Henkel India who have access to your data in order to provide services to you on behalf of Henkel India are contractually obliged to keep such information in confidence and may not use these data for any other purpose. In some cases, it will be necessary that we transfer your inquiries to affiliated companies of Henkel India. Also in these cases your data will be treated confidential. Henkel India does not wish to collect data on children below the age of 18 years. 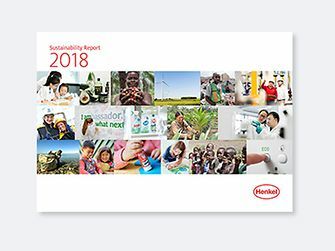 Where necessary, Henkel India will expressly draw the children&apos;s attention in an appropriate place to the fact that they shall not send any person-related information to Henkel India. Should parents or other legal guardians discover that the children under their supervision have made person-related data available to Henkel India, we request that they contact us at the address below ‏(see 6. below), if these data shall be deleted. We shall then arrange for the deletion of these data without delay. To facilitate the use of our website, we are using "cookies". Cookies are small units of data temporarily stored on the hard disk of your computer by your browser that are necessary for using our website. The information contained in cookies serves, e.g. the purpose of session control, in particular improved navigation and allows for a high level of user-friendliness of a website. The cookies that we use do not store any person-related data unless accepted. The majority of web browsers automatically accepts cookies. You can avoid this by changing the settings of your browser. You can remove the cookies stored on your PC any time by deleting the temporary Internet files ‏(Browser bar "Tools/Extras"-"Internet options"). This website collects and stores data for marketing and optimization purposes by using a technology of Webtrekk GmbH. This data can be used to create pseudonymized user profiles. Cookies might be set. Without an explicit agreement by our users the data collected with the Webtrekk technologies is not used to identify a visitor personally and is not aggregated with any other personal data about the holder of the pseudonym. To exclude the Webtrekk web controlling on this website an opt-out cookie is set by www.henkel-india.com. This selection is valid permanently or until you delete your browser&apos;s cookies. The cookie is set for the named domain, per browser and computer. Therefore, if you visit our website visit at home and work or with different browsers, you need to refuse data storage with every device or browser. We will not keep your personal data longer than is necessary for the fulfillment of the purpose for which the data are or are to be used provided that no legal requirements exist to the contrary such as in the case of retention periods as required by any law. At any time, you may, of course, ask for the deletion of your person-related data. You are also entitled at any time to revoke your consent to the use or processing of your person-related from any particular data. If you wish, you may request us to correct any inaccuracies in your personal data. We may also refuse to provide access to your person-related data where the applicable law allows us to do so. If you would like to contact us in connection with your personal data, please send an e-mail or a letter to our Grievance Officer, Mr. Sundararaman Iyer, 10th & 11th Floor, Kesar Solitaire, Plot No – 5, Sector – 19, Palm Beach Road, Sanpada, Navi Mumbai – 400 705, India. Please also contact us if you would like to know whether we have collected data about you and, if so, which data. We shall endeavor to comply with your wish immediately. The Corporation may acquire domestic and foreign companies of all kinds to participate in them and do any business and action, which is conducive to the objects of the Corporation. marketing and distribution of beauty care products for hair and skin. Data relating to customers, employees, employees of affiliated companies, employees of external companies ‏(subcontractors), leasing personnel, job applicants, external inventors or heirs, respectively, suppliers and service-providers, external customers, consumers, volunteers in consumer tests, visitors to the corporations site, investors as well as financial analysts and shareholders - insofar as necessary for fulfilling the purposes. Public authorities, health insurance funds and employers&apos; liability association in the event of the presence of the relevant legal regulations, external contractors, external service-providers, , affiliated companies and internal departments for fulfilling the purposes. The legislators have issued a wide range of storage duties and periods of storage. The data are deleted as a matter of routine after the expiration of these periods. Data not affected by such provisions are deleted if the purposes have ceased to exist. Plug-ins ‏(“plug-ins”) of the social media networks facebook.com and Twitter may be embedded in our web pages. The associated services are provided by the companies Facebook Inc. and Twitter Inc. respectively ‏(“providers”). To increase the protection afforded to your data when you visit our web pages, these plug-ins are implemented as “2-click buttons.” This form of integration ensures that, when accessing a page from within our website containing such plug-ins, you are not automatically connected to the providers’ servers. Only if you activate the plug-ins, thus issuing a permission for data transmission, will the browser create a direct link to the providers’ servers. The content of the various plug-ins is then transmitted by the provider concerned directly to your browser and then displayed on your screen. The plug-in tells the provider which of our website pages you have accessed. If, while viewing our website, you are logged into your Facebook or Twitter user account, the provider is able to collate your interest, i.e. the information you are accessing, with your user account. On making use of any of the plug-in functions ‏(e.g. clicking the “Like” button, leaving a comment), this information too will be transmitted by the browser directly to the provider for retention. To avoid allowing Facebook or Twitter to link your visit of our website to your user account with these providers, you will need to log-off the respective user account prior to accessing our web pages.